When your belly’s beginning to bulge with new life, and you’re having one of those days where you can’t put the baby down without him bursting into tears, and the bigger one is refusing to sit on the potty, or take a nap, or eat his dinner, you sometimes wonder deep down if you really have what it takes to mother another little life. He whispered to my heart the truth: You’re not enough to fill these little ones with all they will ever need. You’re not enough to mother them without failing them often. And no, there won’t be enough of you to go around, nor will there be enough of you left when the day is done. You are not enough for them and you aren’t enough for your husband and you aren’t enough even for yourself. You—the one I myself fashioned and formed in your mother’s womb—you were made dependent. You were made needy. You were made to find your completion and wholeness and strength and power only in Me. If you were enough for these little ones, they would never sense their need of Me. If you never failed them or let them down, they would put you in my place, and they would never sense their longing for Me. If there was enough of you for them, they would not learn their need of Me and of the community for which I fashioned them. If there was enough of you left at the end of the day, you would never turn to Me at all, but you would rest in your self-sufficiency and languish in your loneliness. So don’t worry my child, you won’t be enough. But I will be. I will be enough to meet their needs. I will be enough love for them. I will be enough to always hold them and never let them go. I will be enough to never fail them. I will be enough to go around. I will be enough when the day is done. And when eternity dawns, I will be enough. And I will be enough for you too, my beloved daughter. I will be your strength when you feel you have nothing left to give. I will be your love when you feel bone dry. I will be your patience when you’ve lost every last bit. I will be your resting place when all you need is someone just to care for you. I will be enough for you. “I pray that the eyes of your heart may be enlightened in order that you may know the hope to which he has called you, the riches of his glorious inheritance in his holy people, and his incomparably great power for us who believe. That power is the same as the mighty strength he exerted when he raised Christ from the dead and seated him at his right hand in the heavenly realms,” (Eph. 1:18-20, bold mine). I pray that as you look squarely at your insufficiency that your eyes will also be opened to His incomparably great power—a power that raised Christ from the dead—that is available and alive in you if you belong to Christ. By His strength, and in your weakness, His power will be made perfect in you for whatever task He calls you to do. Rest in that and not in some false notion of your own strength and abilities. You are not enough. But He is and He will manifest that power through you if you turn to Him in your weakness. Like what you’re reading? 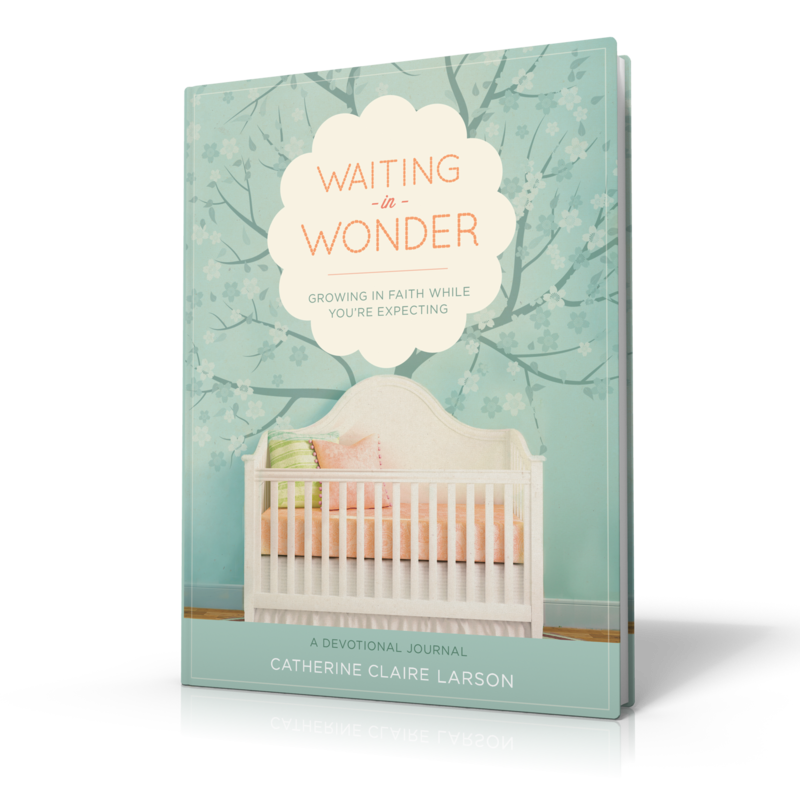 Consider getting a copy of my new devotional journal for expectant mothers: Waiting in Wonder: Growing in Faith While You’re Expecting. 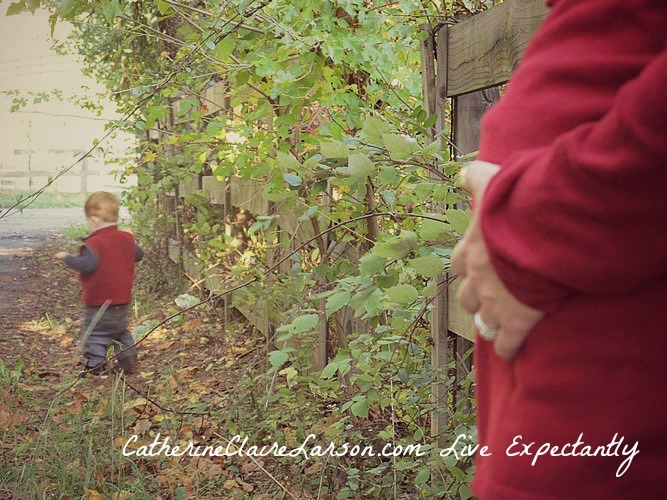 It’s the perfect gift for that baby shower or new mom you know who needs encouragement. And with Mother’s Day right around the corner, what better excuse to shower some mama you know with a little extra love.